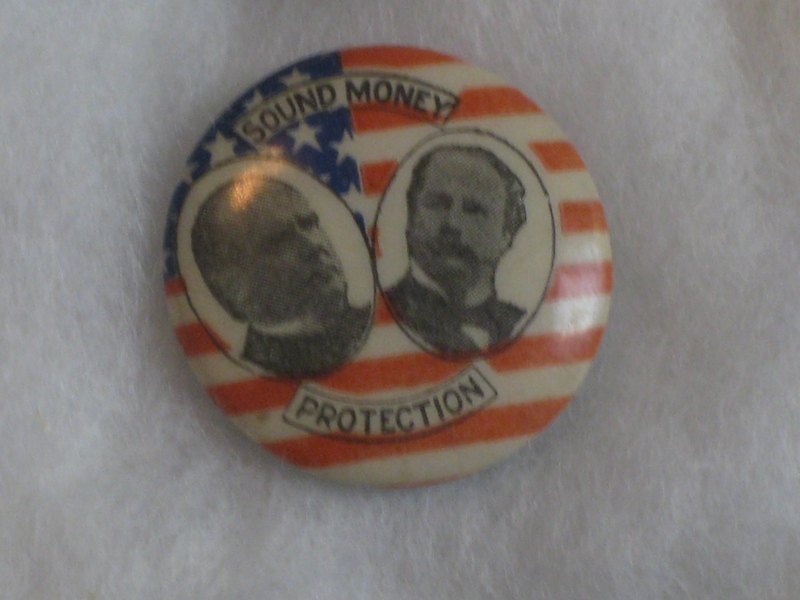 In honor of Election Day, we present memorabilia from the 1896 Presidential Election. 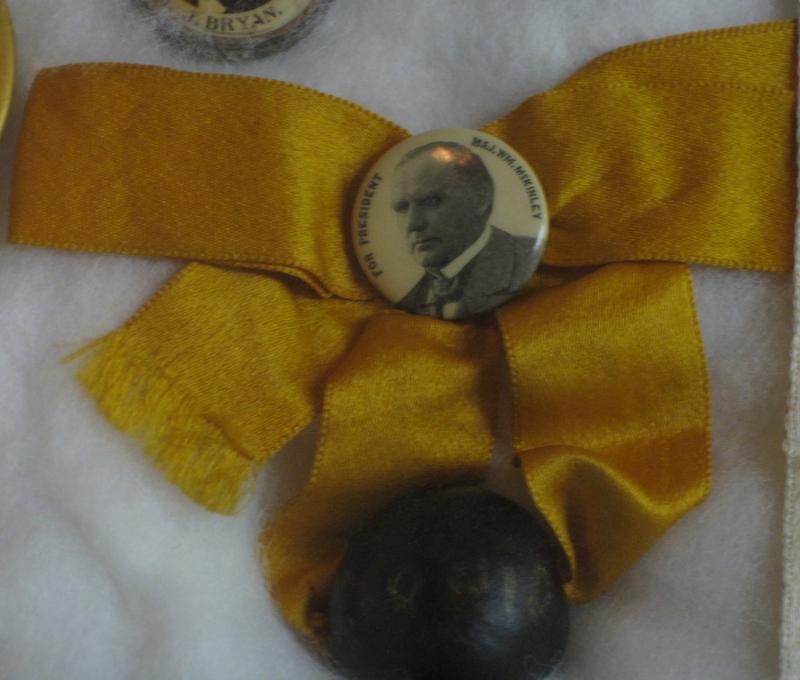 This was the first election in which campaign buttons and other ephemera were extensively used. 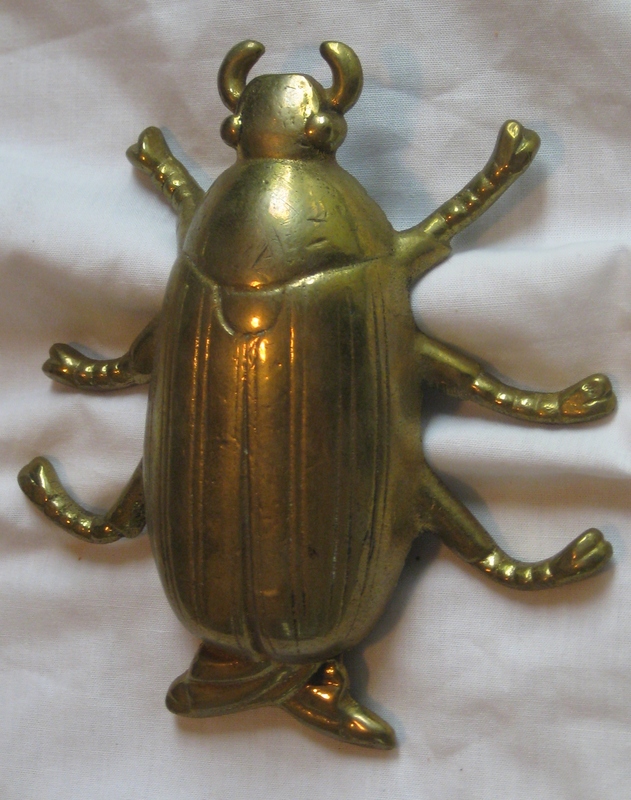 Note that many items feature McKinley’s image. 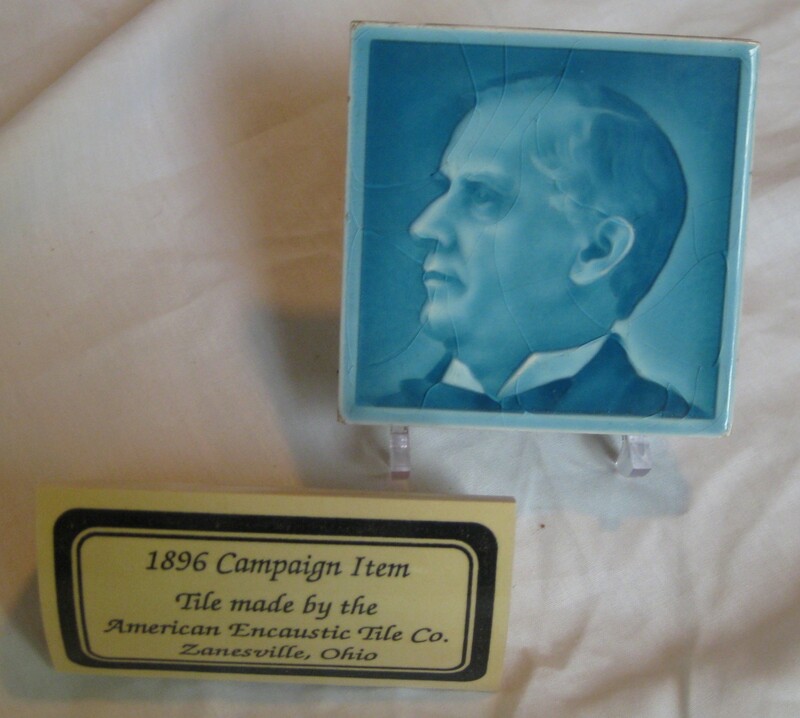 Tile made by the American Encaustic Tile Co. of Zanesville, OH. 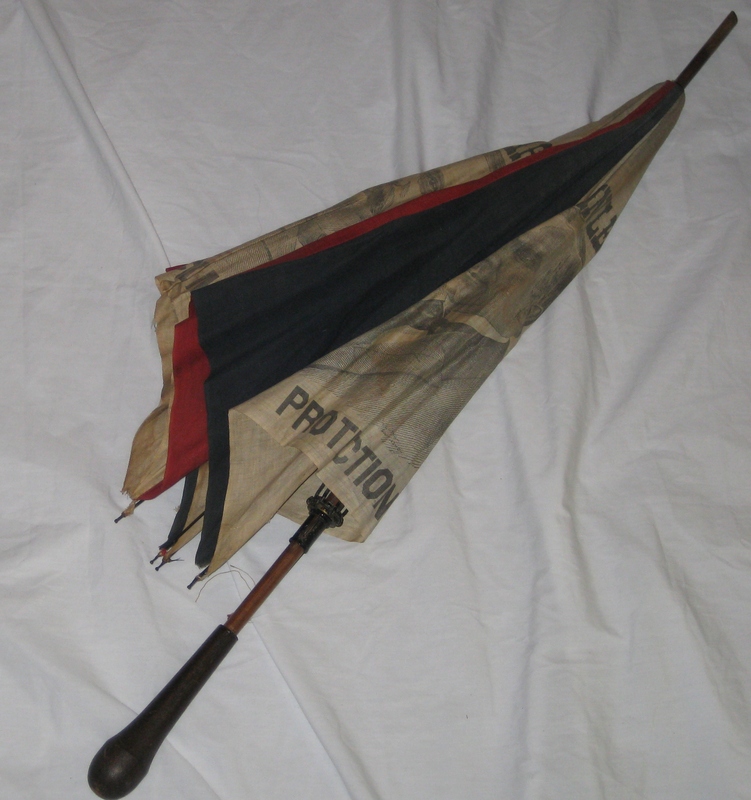 It was used in the 1896 Presidential campaign. 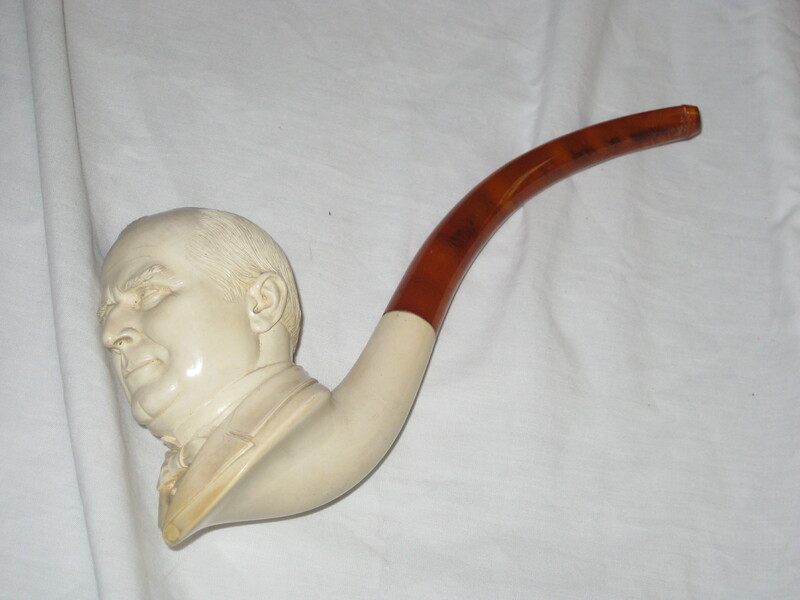 A pipe featuring McKinley’s image. 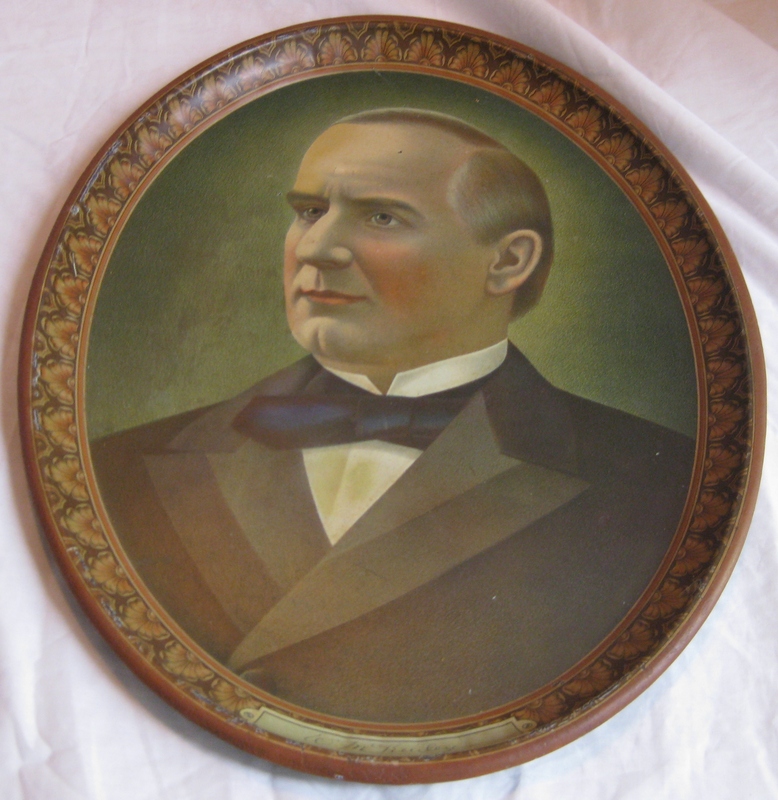 A tray featuring McKinley’s image. A campaign ribbon. Note “Ohio” is written on the bead. 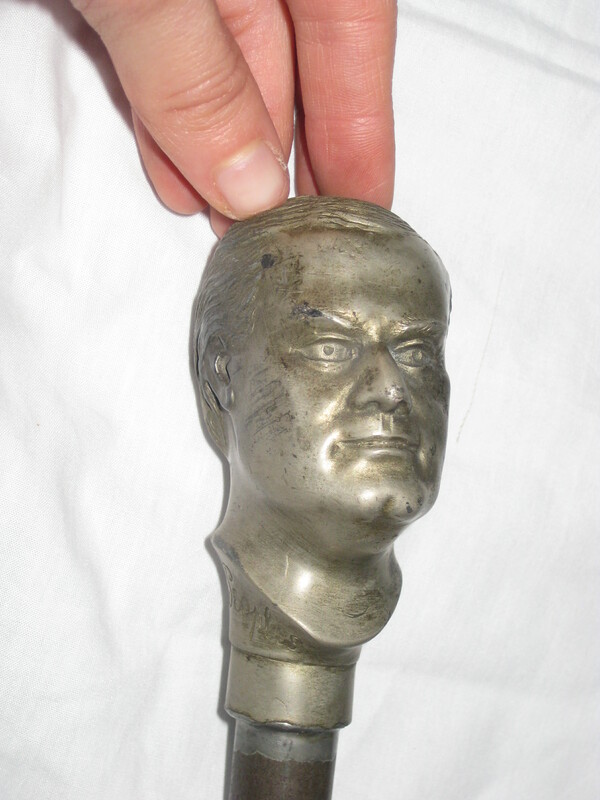 The head of a McKinley head cane. 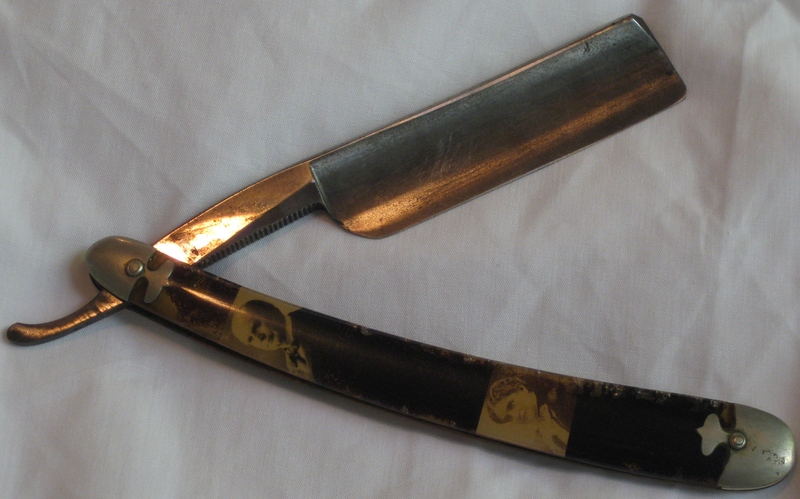 A razor. Note that even Ida’s image was used on this one!